Convenience – As long as you have not let your propane tank go empty, and kept your grill reasonably clean, you can be grilling on literally a few moments’ notice. 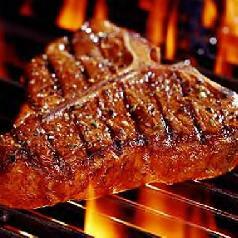 Cleanliness – gas grilling is a cleaner burning method than wood or charcoal. Environmentally safer – according to the EPA, propane generates 105 times LESS carbon monoxide releases into our atmosphere than charcoal…it’s just that much cleaner burning. More precise temperature control – gas grills, by simply turning the flow controls, can go from blazing hot to “low and slow” in a matter of a couple minutes. This is unlikely and usually very difficult to achieve with charcoal. Keep the grill clean! It’s unappetizing to cook on old, burned on food. Contrary to some belief, it doesn’t add flavor, just carbon and dirt to your food. Think about it, if you were running a restaurant, wouldn’t you want the owner to keep their equipment clean? 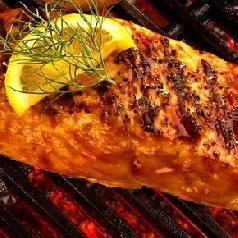 Lubricate the cooking grate before you put on the food, and make sure the grill is hot before adding the food. This will reduce sticking; never put food on a cold grill and then light it. For larger roasts, whole or half chickens, etc, learn how to use the indirect method of grilling. Similar to barbecuing, this keeps meat from burning and allows more even cooking while it’s over the grill for a long period of time. For more flavor, invest in a small smoker box for wood chips to get a smokier flavor….do not put the chips directly in the grill; they will just burn and create a mess. You can often find these boxes anyplace that sells grills and outdoor cooking accessories. Place your meat back onto a clean plate or platter when it’s done; not the same one you carried it to the grill on when it was raw. Why risk food poisoning? Always use tongs or a long handled metal spatula to turn the food, never a fork. Why allow all the flavorful juices out? Put sugary barbecue sauces on only at the last few minutes of grilling, to glaze the meat. Otherwise, they usually just burn on both the meat and the grill. Let the meat rest for a few moments after it comes off the grill. The larger the piece of meat, the longer it should rest. This will allow the juices to redistribute, and will give you a more tender, juicier piece of meat. Check back often for updates, especially in our newsletter, where each edition will include more tips and recipes for healthy, delicious outdoor cooking!